Might be the most Florida picture ever. But every time someone says that, it gets topped. The shotgun propped up on the case of Bud Light makes this photo. And the Florida flag. And the tat on that tree-trunk thigh. If you want to rip Florida that photo has it all. The Darwin Award requires accidental death removing oneself from the gene pool. 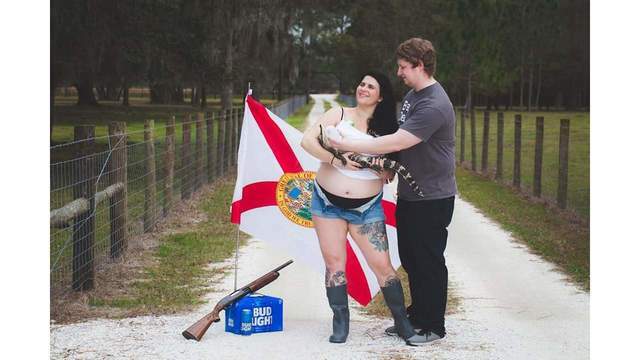 saying "Florida Man should not be alone,"
out of which He fashioned Florida Woman. Batman and swingline like this. That’s an insult to Dasani. I once had a student named Dasani. Batman, expendable and Vombatus like this.